I found this to be a great sounding wire tonally. It has a more details sound then just using copper to connect amp to speakers. Only reason I gave it a 4 is that it is hard to manipulate this wire. Other than that this is honestly hard to beat for the money. I did notice that the sound got more full when I double up these cables. Excellent wire. Have bought several times. Will buy again. 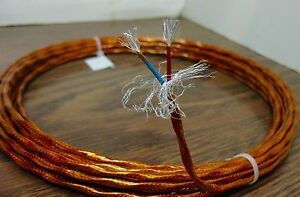 Good quality wire.